Most marketers and advertisers will tell you it takes 7-10 impressions to solidify brand recognition. This means that the first time someone encounters a person or brand, chances are, they will be forgotten moments later. It isn’t until someone has repetitive contact with you and your business that brand recognition will be solidified and you will be thought of for professional opportunities. But not all impressions are created equally. For example, ad impressions are far less effective than in-person meetings or earned media coverage. But you also can’t be expected to physically be everywhere your potential clients are. So, how do you make those repetitive impressions without spending thousands of dollars on marketing or hours of your time attending networking events? You focus on avenues where other people do the work for you. 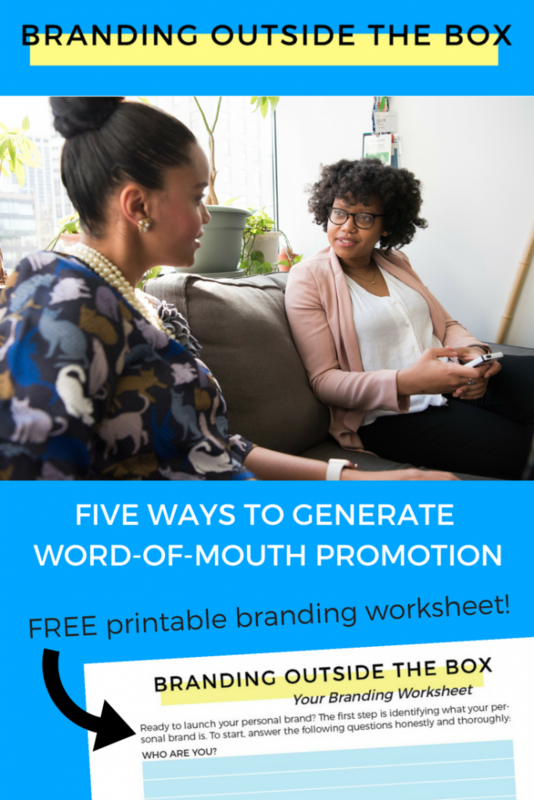 Word-of-mouth is by far the most effective promotion tool. A person-to-person referral holds exponentially more weight than any advertisement or social media post. 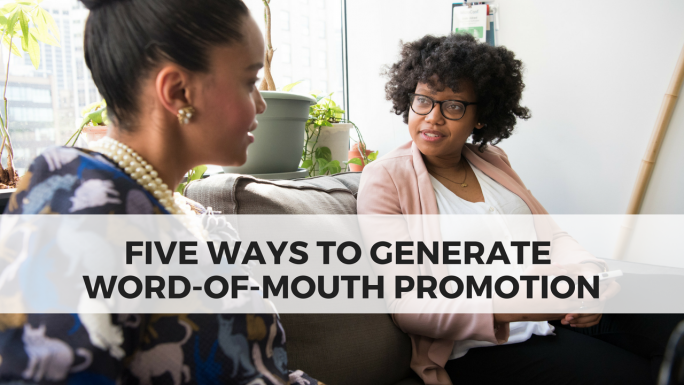 By focusing your energy on generating word of mouth, you will exponentially generate more impressions and spend far less time, energy, and money doing it. If you can’t easily convey who you are and what you do, how do you expect other people to do it on your behalf? By creating a clear and concise brand message, you make it easier for your existing clients, peers, and others in your network to spread the word. Think about how you would like your peers to recommend your business and start off by doing the same for them. If you want them to feature you in an upcoming newsletter, start by featuring them in yours and then share the e-blast with them. If you want them to provide a testimonial or add your site to their resource page, then you do the same for them. By modeling how you’d like them to help you, you increase the likelihood of them doing the same for you. As I share in this video, your referrers are some of the most important relationships in your network. Therefore, it’s important to spend time cultivating them. Rather than attending dozens of networking events a year and spending all your spare time on social media, focus your energy on building a bond with two or three people who will refer their contacts to you. Those recommenders will lead to exponentially more clients than you could acquire if you were trying to go after those clients directly. Growing a successful brand is not a solo endeavor; it takes an enthusiastic group of people to generate word of mouth, establish brand recognition, and build clout. Chances are, you already have a handful of those people in your network, but they may not already be acting on your behalf. By creating a clear and concise brand message, empowering your current clients to spread that brand message, and then leading by example, creating calls to action, and cultivating your relationships, you will be able to generate word-of-mouth promotion that will grow your business exponentially…without you doing exponentially more work.